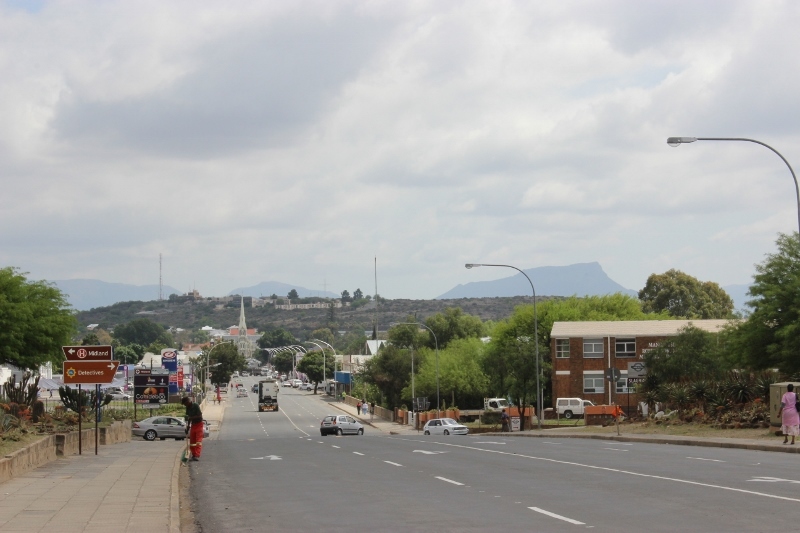 The historic town of Graaff Reinet is nestled within the Camdeboo municipality. It’s an area where vast barren plains give way to draw-dropping rugged cliff faces and quaint historic towns lie forgotten in time. 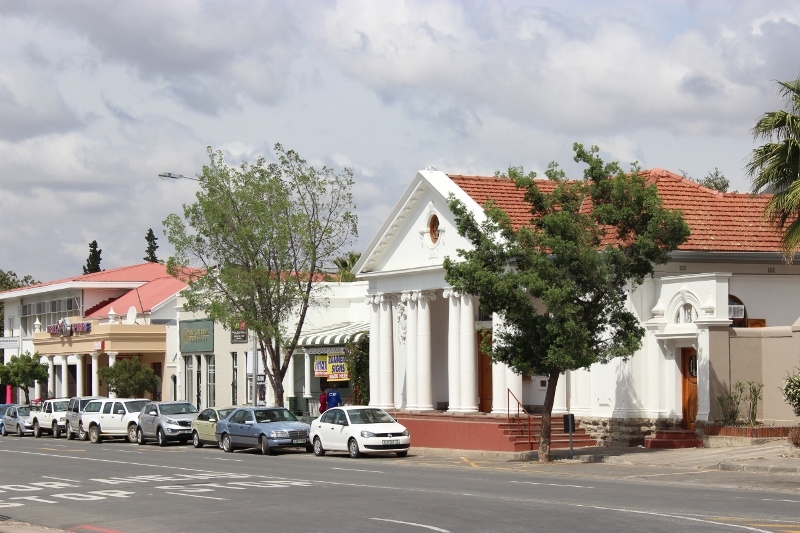 Established in 1786 within the horseshoe bend of the Sundays River, Graaff Reinet is the 4th oldest magisterial district in South Africa. 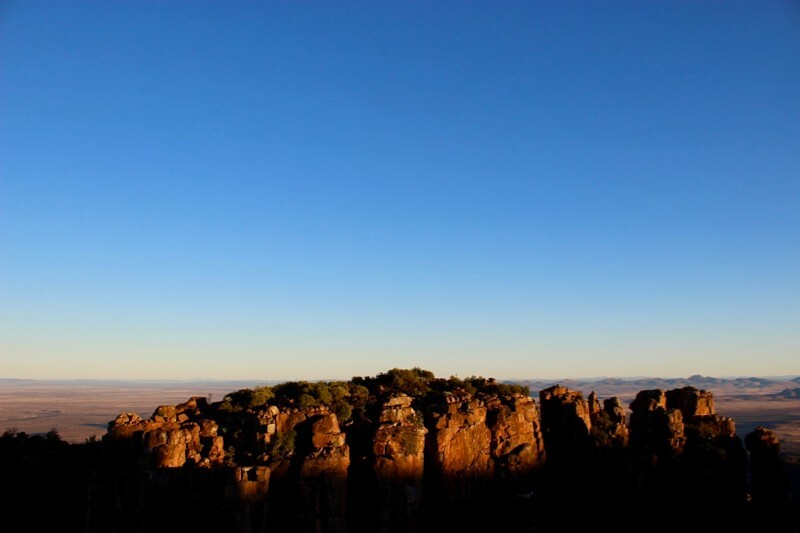 This beautiful heritage town is surrounded by Camdeboo National Park, home to the world-renowned Valley of Desolation. 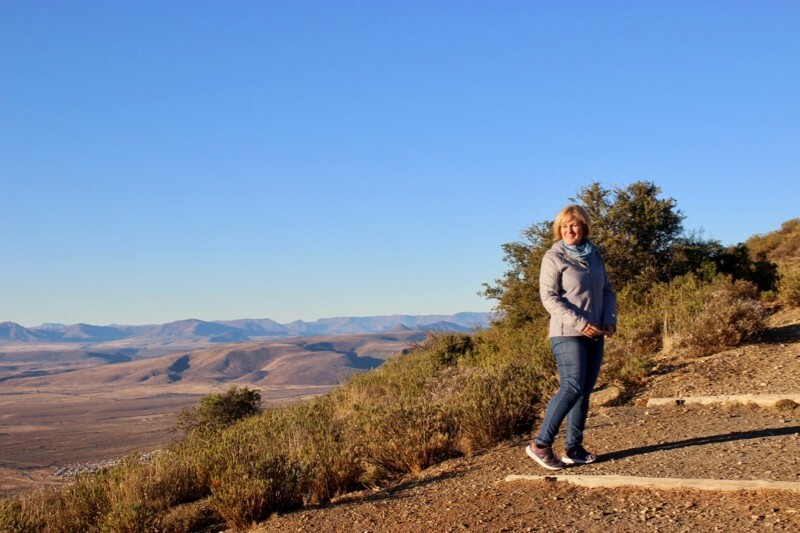 Exquisite beauty and charming Karoo hospitality abounds at every turn and it’s somewhere I didn’t even know existed until a recent road trip around South Africa took me right to the heart of this hidden gem. 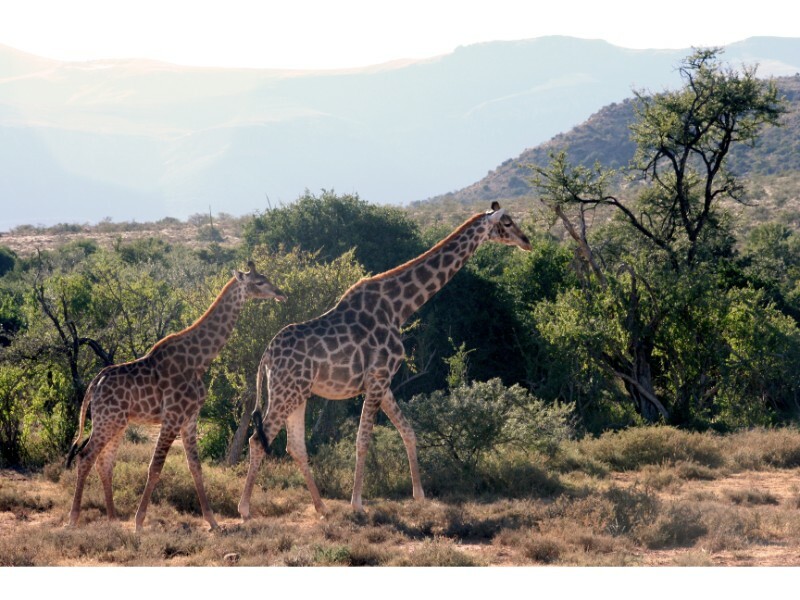 If you’re looking for a holiday that includes a tranquil farm stay, wildlife viewing, exhilarating walks in nature, water sports or enjoying Karoo food and hospitality, then you’ll find no better place to do just this than in Graaff Reinet, “The Gem of the Karoo“. 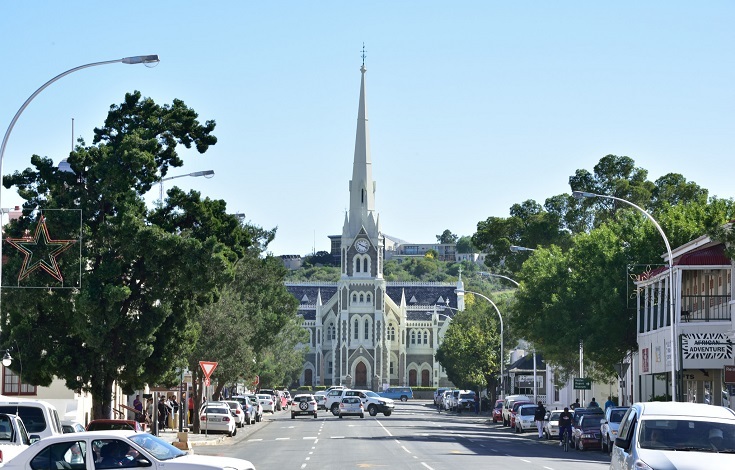 The historic town of Graaff Reinet is one of the oldest towns in South Africa and the 4th oldest magisterial district in the country. It was even its very own republic for a short period of time! The main road is lined with small businesses, coffee shops and art galleries, and is wide enough for two oxwagons to pass by one another! Home to 220 heritages sites and national monuments (more than anywhere else in the country), this is the town to head to if you want to learn about the history of the Anglo-Boer War, see where some of South Africa’s great farming figures once lived, or discover the past with a visit to one of Graaff Reinet’s many museums where you can experience life as it was in the 1800’s. 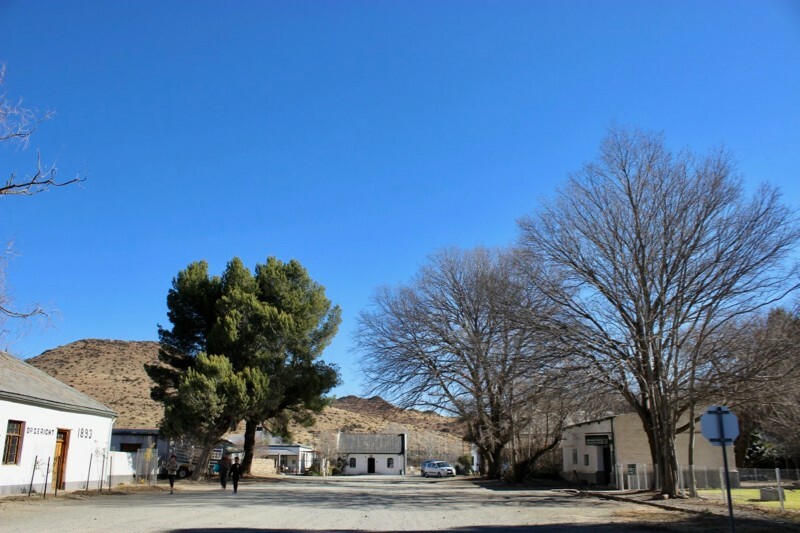 Visit the historical Reinet House, the Old Residency Museum, Urquhart House and the Military Museum. 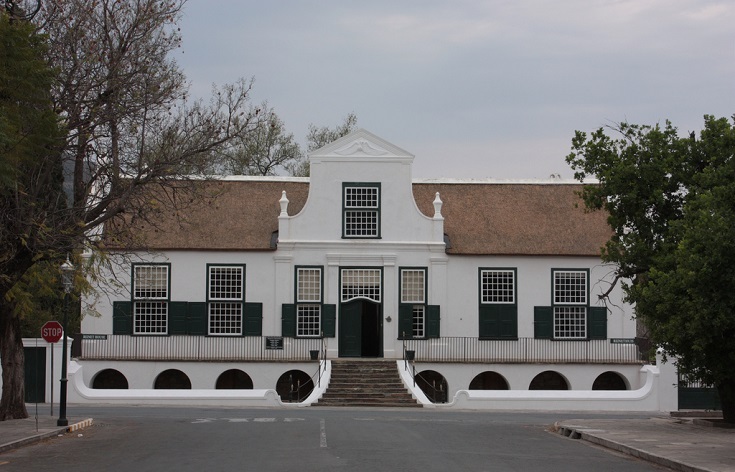 The Old Library Museum offers a chance to see the Lex Bremner fossil collection, Rock Art exhibition and Stone Age Collection, as well as the Mangaliso Robert Sobukwe Permanent Exhibition. Drostdy Hotel, Stretch’s Court and the town cottages will add another layer to your history lesson. The Dutch Reformed Church, or “Groot Kerk”, is hard to ignore upon arriving at Graaff Reinet. It’s imposing architecture commands your full attention as you drive down the main road. Up close, the structure of this impressive building is mesmerizing. But don’t just appreciate it from the outside, step inside the space to see a prime example of this very central aspect of Afrikaans culture. This was our first stop on our first visit to Graaff Reinet a few years ago and we all enjoyed it. During her time exploring Camdeboo, Janine was lucky enough to spend a couple nights at the Mount Camdeboo Private Nature Reserve. As a safari nut, she really enjoyed the authentic atmosphere that this reserve provided. They stayed in a warmly renovated old manor house and as the only guests enjoyed the entire home to themselves. 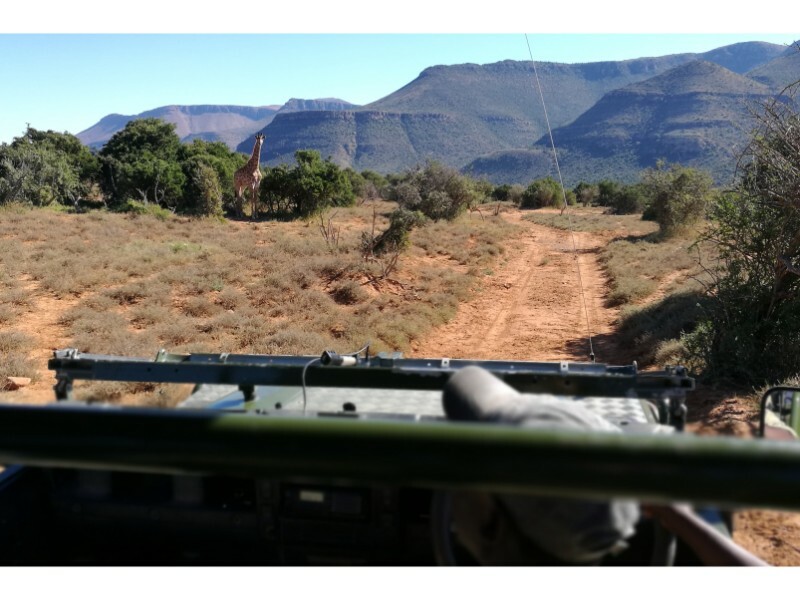 Their game drives were private and they were lucky enough to enjoy sightings of eland, giraffe, zebra and bontebok while also learning about the history of the reserve and taking in some of the Boer-war sites on the property. The highlight of their safari experience at Mount Camdeboo were the landscapes – the sweeping Sneeuberg mountain range form a beautiful backdrop to every drive. 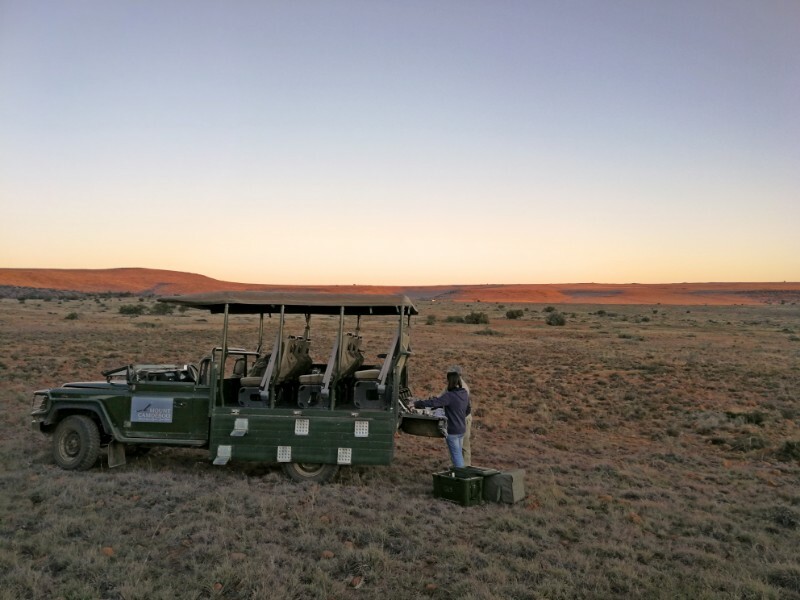 The reserve has a rich conservation program that includes the reintroduction of elephant and lion back to the Karoo later this year! With cheetah numbers dwindling dramatically, cheetah conservation and breeding programmes are seen on a variety of conservation-driven private reserves around South Africa. The Karoo’s wide open plains and mild sunny weather make it one of the best places for such initiatives to thrive. 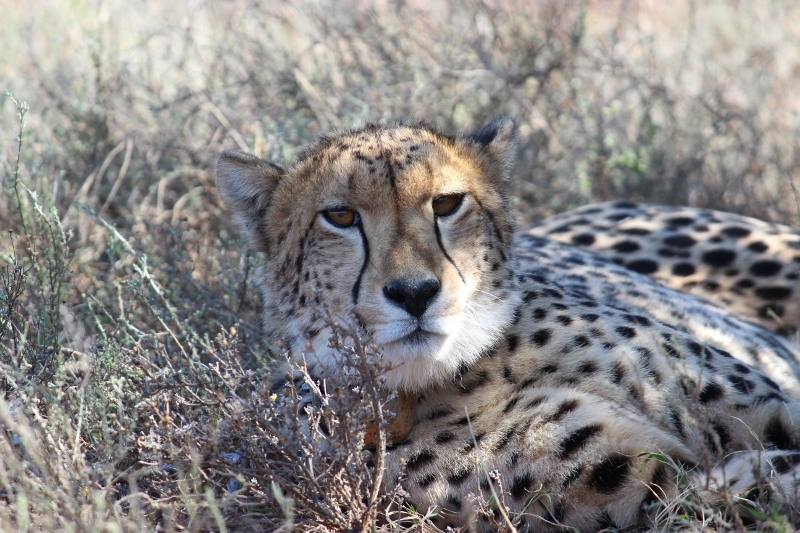 As a family we enjoyed tracking cheetah on foot at Samara where we got some great photos of the experience. My second visit to Samara didn’t provide me with the same tracking on foot experience although it was also amazing to see a (failed) cheetah kill in action! You can also see cheetah on foot at Mount Camdeboo where Janine was thrilled to enjoy a sighting of their resident female cheetah before she had even checked in at the lodge! Tracking her on foot with means of a telemetry device was another highlight. The scenery in this stunning part of South Africa is one of the main reasons to visit. Whether you’re a hiker, mountain biker or photographer, you will have something to smile about. However, we discovered the best way to take in these magnificent landscapes is in the air. 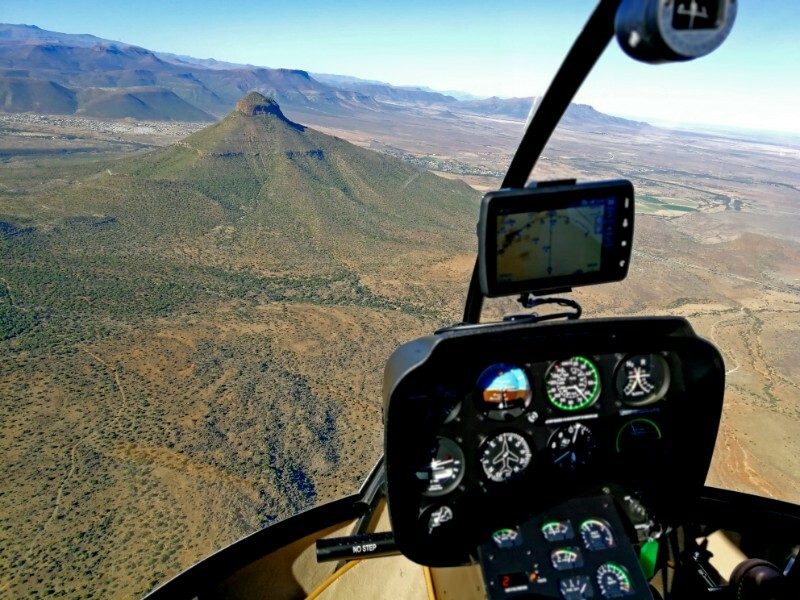 On a helicopter flip with Fly Karoo we enjoyed getting a bird’s eye view of Graaff Reinet, the Valley of Desolation, Spandaukop, the Horseshoe and The Giant flag as well as the beautiful Nqweba Dam. 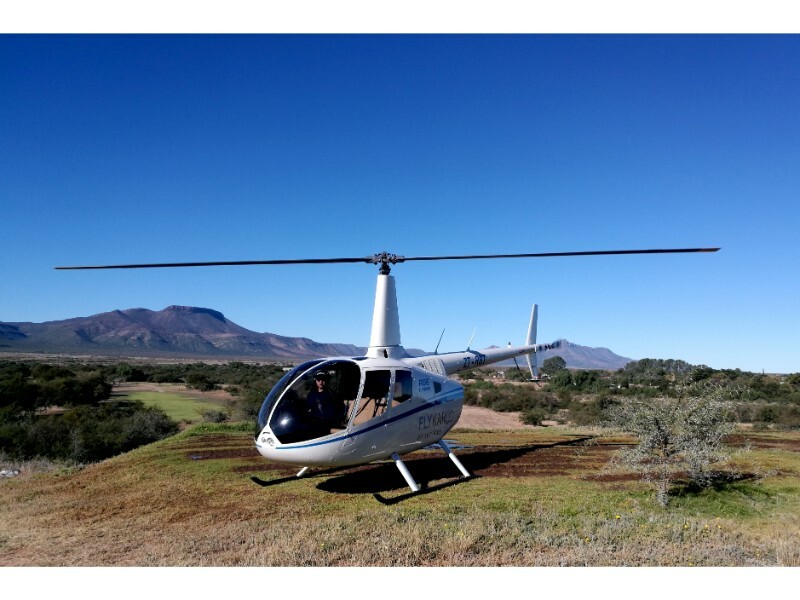 On the amazing clear day we flew you could see all the way to the mountains that surround Port Elizabeth! The fantastic Camdeboo scenery is no less spectacular up close and we came within spitting distance of the iconic Spandau Kop summit. Definitely one of the highlights of our stay in this beautiful region! 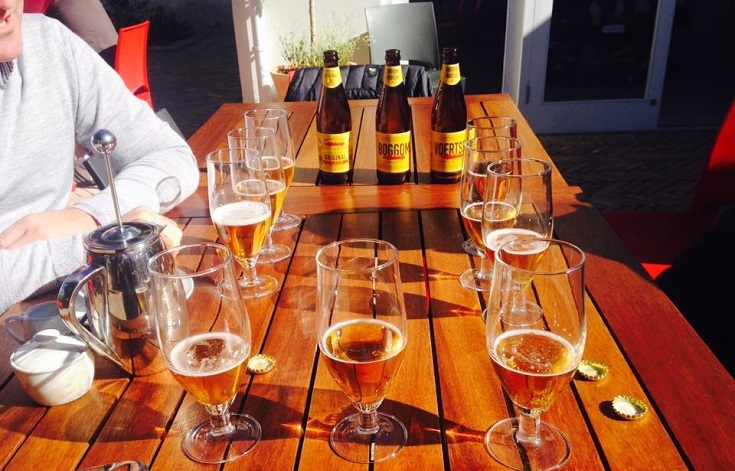 Steeped in old-town charm and set in a restored stable dating back to the 1880s, the Graaff Reinet Brewery is located in the centre of town on Church Street. It offers an affordable menu and a cute courtyard where you can spend a few hours tasting a variety of their local brew. Signature beers include a Black Indian Pale Ale, a Red Ale and the popular GRT Ale. Their beers range from bold and fruity, to crisp and refreshing. I really enjoyed the Pink Lady Perry which was a deliciously bubbly pear cider brewed in Port Elizabeth with a blushing hue! My only regret was not buying any to take home. Find the GRB at 20 Church Street. On our recent visit to the town of Graaff Reinet to see family friends who’ve recently moved there, we spent an afternoon in Nieu Bethesda. The drive out to this little town is well worth it and we headed here on a Sunday to find a tiny little coffee shop called Manna that bakes the best cakes in town. Served on the stoep or beneath the shade of a bare branched blossom tree in the garden of a private home. Only on a Sunday. Only until stocks last! It’s exactly this kind of quirk that makes Nieu Bethesda so unique! This hamlet is perhaps most well-known as the home of the Owl House – and if you like kinda creepy, crazy then you’ll want to head here – but it didn’t float my boat, so I snuck a pic through the fence and moved on… What I did love about this town is the wide dust roads, the slow pace, the beautiful surroundings. 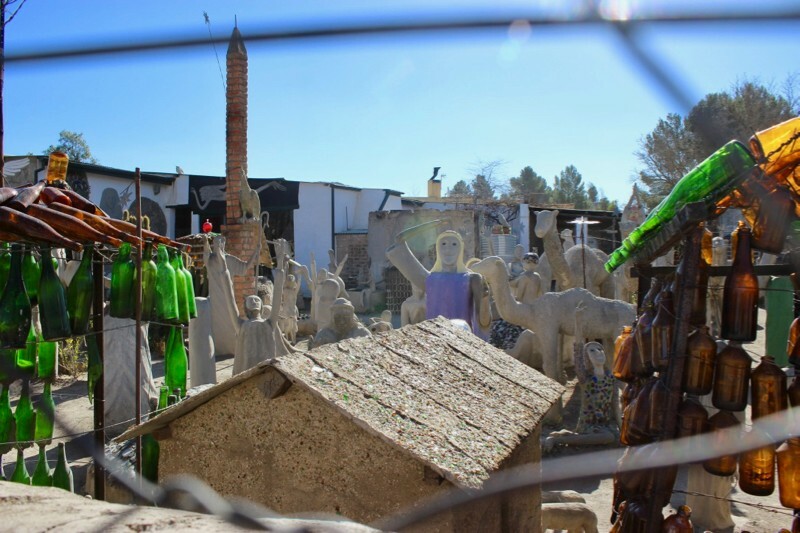 In fact, it was far more picturesque than I had pictured it (perhaps because all I had seen before this visit were the grotesque cement statues of the Owl House!) This is the type of town you want to visit in every season, our visit was dry and dusty with a warm wind sweeping through the streets, pre-empting the snowfall that was to arrive the day after our visit! I’d love to visit in Springtime when I can image the blossom trees bursting into bloom and abuzz with bees. 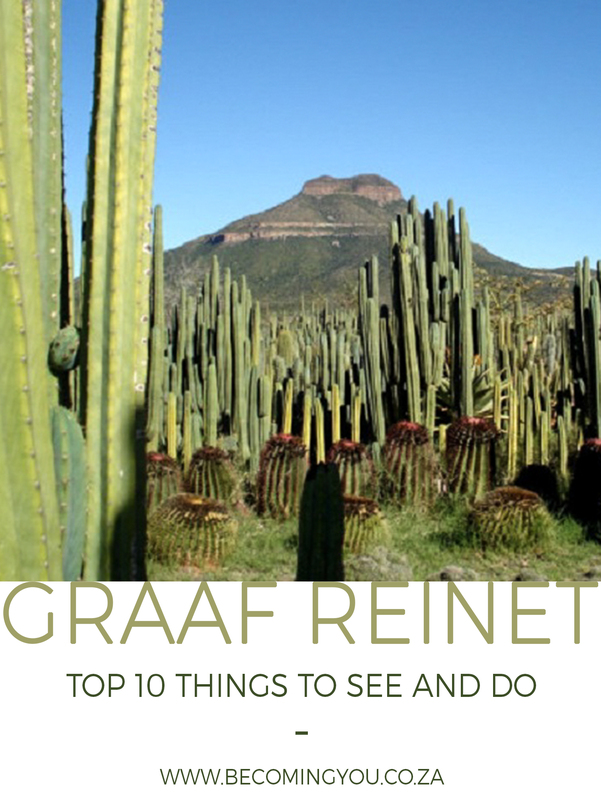 When visiting Graaff Reinet be sure to check out the biggest Cacti collection on the planet! 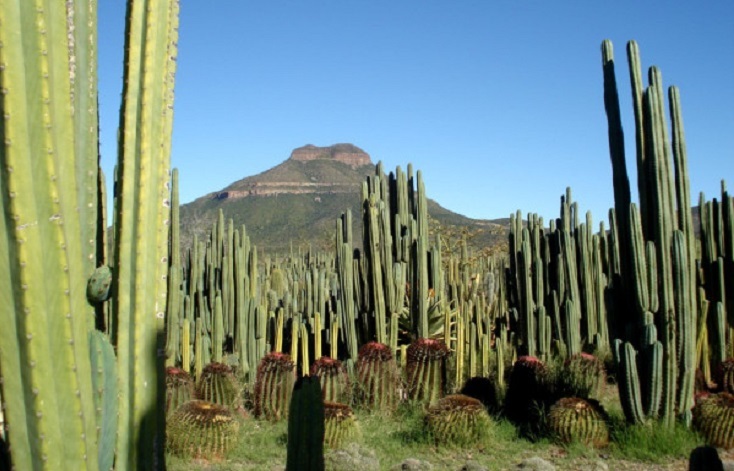 At Obesa Cactus Nursery you can walk among the fascinating succulent plant labyrinth (with some over 10 metres tall) and whether you’re a plant lover or not, you will be amazed! The nursery is situated a short distance from the centre of town, and sells a variety of plants (with 7000 species of plant, and over 350 000 individuals grown each year). The nursery focuses on the conservation and propagation of rare and endangered plants. There is also a ceramic gallery where you can buy beautifully crafted pots in which to plant your Karoo “roses”. Find Obesa at 49 Murray Street. Meander down central Church Street and pop into a gallery or two. For an intimate glimpse into the town’s history, visit the Hester Rupert Art Museum where you can enjoy the artwork of famous contemporary South African artists. Opened in 1966, after much controversy regarding what the building 5th oldest building in the town would be used for, the museum opened with the help of 83 artists, who donated 90 paintings in total. Today the collection has grown to 126 works by 106 artists, and showcases the work of those who supported conserving the building for prosperity in the 1960’s. Another town favourite is the Imibala Gallery, who often run art exhibitions for charity. The Valley of Desolation in Camdeboo National Park, just 14km from town, is one of the main draw cards that attracts visitors to this region. It is here where a startling cliff face of eroded rocks forms on the most photographed spots in Camdeboo. The site itself consists of towering Dolerite columns that rise approximately 120 metres above the ground. 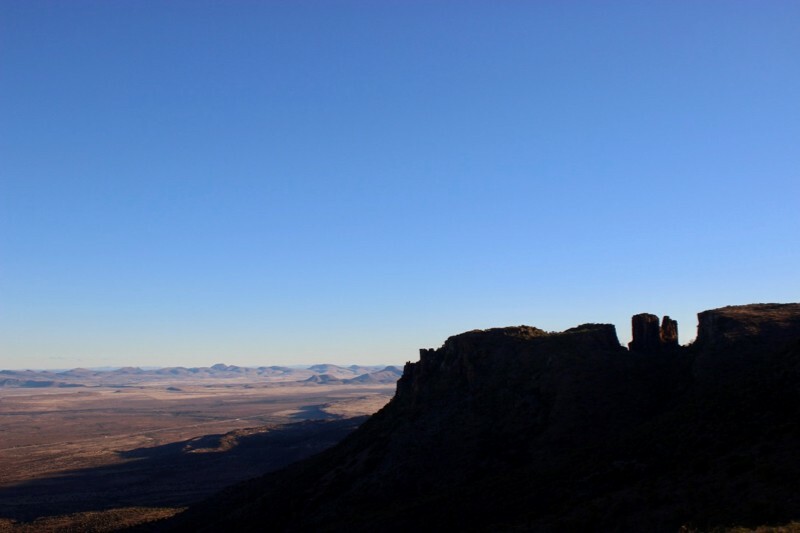 Looking out over these impressive structures, the Karoo valley stretches out for as far as the eye can see. A tar road offers easy access to the main viewpoint which is then a short scramble along a path, however pack a picnic basket and have a braai or picnic in at one of the panoramic view points along the way. 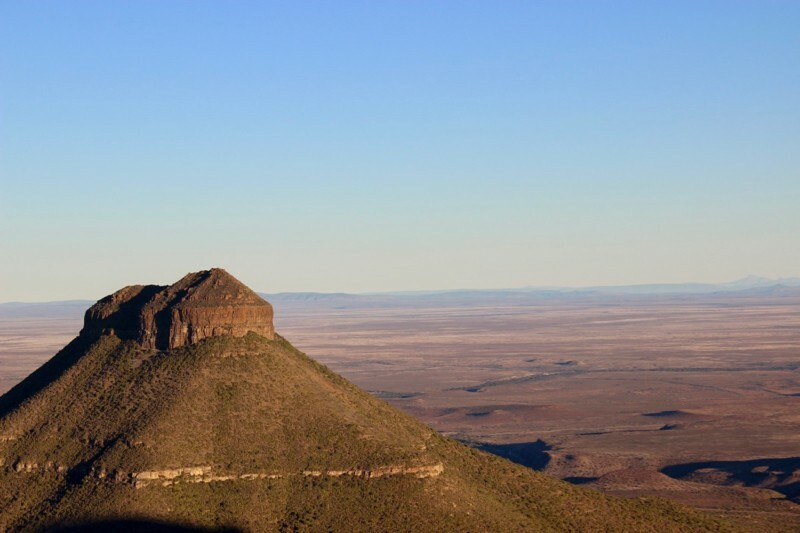 The National Park is home to over 19 000ha of veld and you can also expect to see herds of Springbok, Gemsbok and Cape Buffalo as well as mountain valleys lush with spekboom. 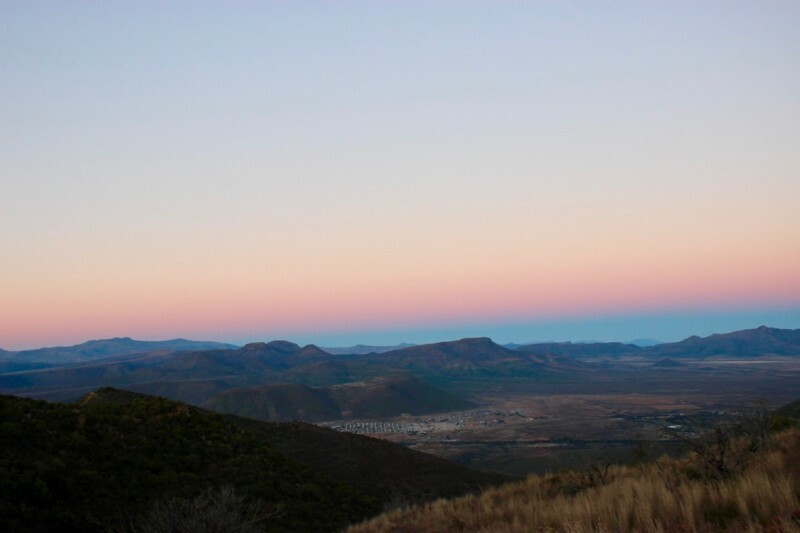 Sunset is possibly the best time to visit as you can watch the plains of Camdeboo and the Karoo skies change colour, as we did, but if you plan to visit at this time be sure to check what time the gate closes as you may be spending a chilly evening at the top of the mountain! 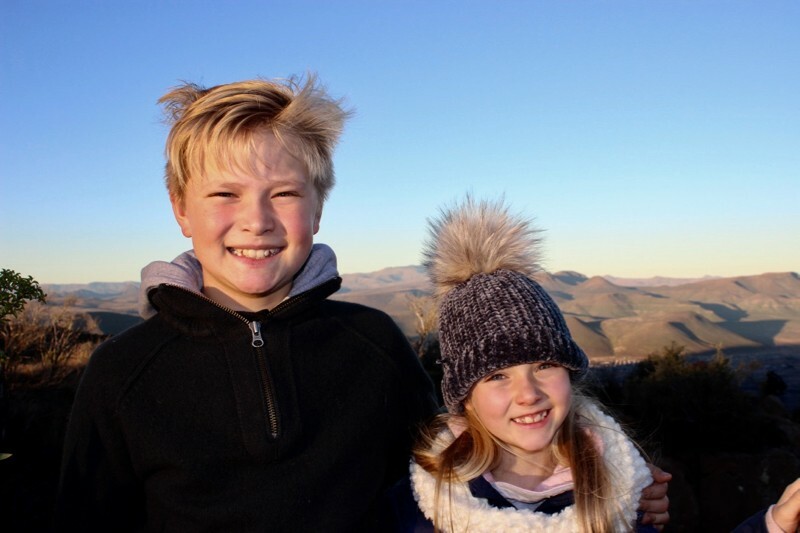 We loved our visit to Graaff Reinet, and it sounds like Janine did too! 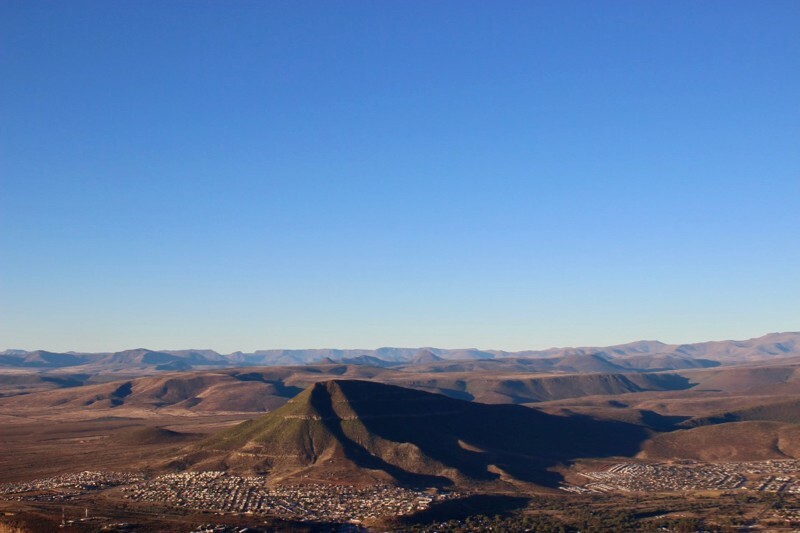 Thanks to her for her additional suggestions of things to do in Graaff Reinet and the surrounding Camdeboo region. We certainly didn’t get to see everything the town has to offer so will have to plan a return visit soon! When last did you visit Graaff Reinet? Do you have any suggestions to add to this list. Please let me know in the comments below! The Karoo wine clubs “Stoep Tasting wine weekend” is a must do weekend for anyone who loves wine and the Karoo. Last weekend of May every year. It is the worst kept wine secret in the Karoo. Thanks for your addition Gordon. I have heard of this secret… need to make a plan to visit over that weekend sometime!